Workplace teams are supposed to harness employees’ talents to tackle challenges. But the reality often falls short… leaving supervisors feeling overwhelmed by trying to motivate disengaged and uncommitted employees. 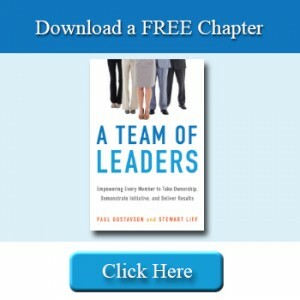 Based on the ideas in their provocative new book, A Team of Leaders, Paul Gustavson and Stewart Liff makes a compelling case organizations are perfectly designed to get the results that they get. The reason why so many organizations struggle with engagement and performance issue is because of the way work is designed. That is, as long as employees work under a design where there is one all-knowing boss who tells everyone else what to do, resulting in people working primarily on an individual basis, they will continue to struggle to find ways to engage their employees and produce results. Why a great leader uses teams of leaders? 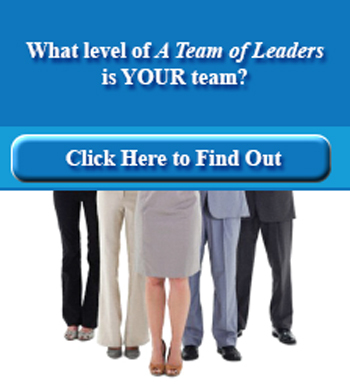 How to assess what Team of Leaders stage your team is at? Why work design is key to building a culture of commitment and engagement? Seeing is Believing! A leading expert visual performance management, Stewart Liff will share why visuals are critical in transforming organizations and engaging employees. Visual performance management is an unique approach that uses the senses to reinforce the principles of A Team of Leaders, as well as to ultimately drive performance and build future leaders. It helps guide you on the path to create the team perfectly designed to get the results that you get.